Attorneys general from 16 states have joined a request that an appeals court review a decision by U.S. Environmental Protection Agency officials to not enforce an Obama-era regulation limiting the production of glider kit trucks to 300 units per manufacturer. The legal action, filed with the U.S. Court of Appeals for the District of Columbia, has been consolidated with a similar action filed by three environmental groups also attempting to block EPA’s decision. The appeals court on July 18 issued a temporary stay blocking the EPA from failing to enforce the regulation, saying it will make a decision sometime after hearing arguments from all of the parties by the end of the month. The states challenging the EPA decision are California, Delaware, Illinois, Maine, Maryland, Massachusetts, Minnesota, New Jersey, New Mexico, New York, North Carolina, Oregon, Pennsylvania, Vermont and Washington, as well as the District of Columbia. EPA’s decision circumvents Congress’ established limits on the agency’s authority to suspend or stay a rule, as well as limits on its authority to exempt new motor vehicles or engines from regulation, the attorneys general said. An emergency motion also was filed on July 17 by the Environmental Defense Fund, Center for Biological Diversity and Sierra Club, in response to a July 6 agency memo from EPA enforcement chief Susan Bodine suspending for a year enforcement of the cap on the production and sale of glider kits. Bodine’s “no-action assurance” memo was dated only a day after then-EPA Administrator Scott Pruitt resigned amid a dozen ethical investigations into some of his official actions. In November, the agency issued a proposed rule to repeal the Obama-era regulation, questioning the notion that the gliders were big polluters and whether EPA even had the authority to regulate the gliders. 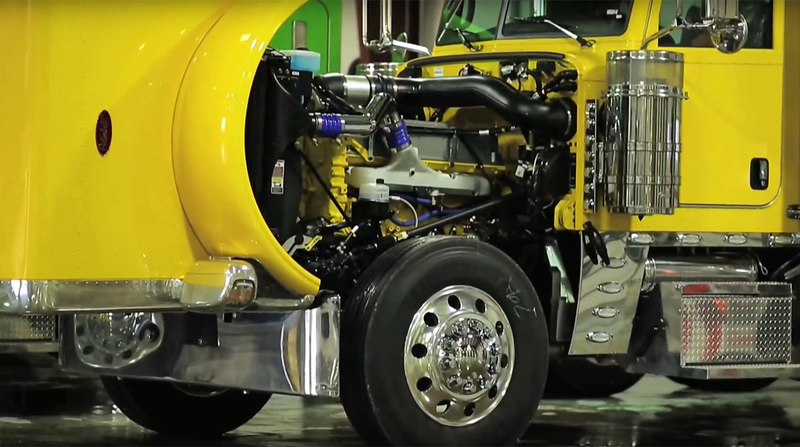 EPA’s proposed repeal of the glider truck rule drew more than 3,500 written comments, and was overwhelmingly opposed by nearly all of the speakers at a public hearing by the agency. However, in her memo, Bodine said suspension of the Obama regulation for one year was needed to allow the agency time to consider “several matters” before it could take a final action on the proposed repeal. Glen Kedzie, energy and environmental counsel for American Trucking Associations, said the court’s action to temporarily suspend the enforcement directive reaffirms his group’s position. The attorneys general filing said that even by EPA’s own estimates, the model year 1998-2001 engines that typically are used in glider vehicles emit 20 to 40 times more particulate matter and oxides of nitrogen than engines that conform to current emissions standards.